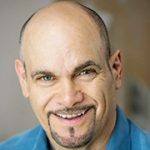 SEBASTIAN – As a photojournalist, I have covered many political events in my lifetime including three presidents and a state department summit meeting with the former Soviet Union. 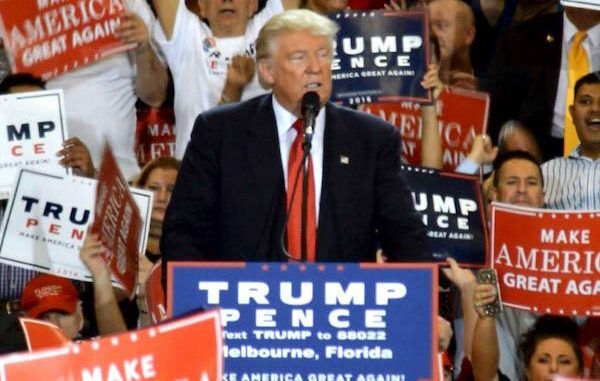 Covering the Trump Rally in Melbourne, Florida while being a political event, was more of a Hollywood or rock concert production for the 15 thousand plus that attended. Having a media pass allowed me to move about more freely than most attendees, capturing the sights and sounds of the thousands of Trump supporters. My story begins at 1 p.m. – 6 hours before the Trump jet even lands at Melbourne Airport. People started lining up at 12:30 p.m. even though I did not arrive until 1:30 p.m., many were in line with their umbrellas and lawn chairs. I had to have my camera gear set up and then clear the press platform by 2:00 p.m. so the Secret Service could run their bomb-sniffing dogs through the area. Even the national media have to go through this procedure every time – no exceptions. For today’s evening, this means we have a 5-hour wait. Being experienced, I go back and start moving up and down the growing line of people. By 7 p.m. this crowd will exceed 12 thousand. Florida’s heat can take its tool. While water was free inside during the actual event, unless you brought your own, you went without or could buy a bottle for $2.00 from the many street vendors working the crowd. The EMTS had to come to the area 3 times before the event started and 4 more times inside. Trump merchandise was readily available for sale by so-called “authorized” vendors I never did get a clear verification on how one was permitted to sell or not. As far as the crowd went, there was one jovial fellow painted up with his megaphone keeping the crowd excited. Besides myself, several TV crews were interviewing various Trump supporters. CNN bit off more than they could chew with one person and several came to his rescue and started a shouting match with CNN’s Randi Kaye. (Oh, these main stream media people. Tisk, Tisk…) The story can be found on CNN’s website. By 4 p.m. the media is allowed back inside to get final things in place, and the and the general public is allowed in at 5:30 p.m. Again, the heat is overwhelming inside with reporters less than a foot away from each other, trying to do their live shots, sweating bullets. The only reporter who looked camera ready was Major Garrett of CBS News, and that was because he was the only one with a portable fan blowing up his pants. It was actually funny. All of us on the press platform had to duck and squat so as not to interfere with live shots. 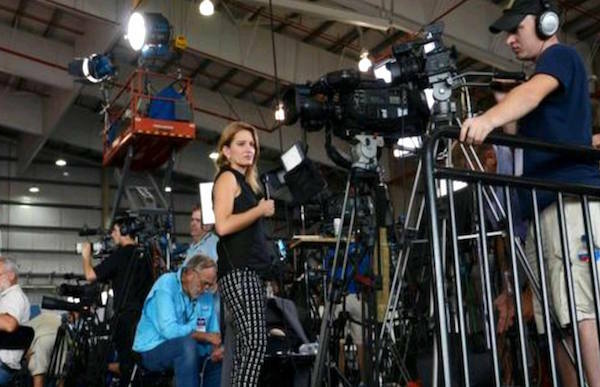 Most reporters were standing on chairs, camera cases or whatever they could find to elevate themselves as cameras had to be high to clear the ones in front of them. I had a great shot area at the podium and was not moving for anyone. People were crammed like sardines by 6:30 p.m. in the hangar. We also had late arrival late arrival reporters trying to find one square foot to put a tripod up for a camera with no luck. We had 27 cameras on a platform set up for maybe 12 comfortably. It was crazy. Add to that, camera people and reporters all sweating and trying to stay hydrated with bottled water and you get the picture – no pun intended. We were treated with local politicians, including Brevard County Sheriff Wayne Ivey, for an hour, then about a 30-minute break waiting for Mr. Trump to arrive. We got pick-up shots of the crowds all holding their free Trump signs given to them when they came in. Donald Trump arrived in his private campaign jet at 7:05 p.m. (the local media was fooled when a white Trump jet came in about an hour earlier, but that was the traveling press jet). The music was blaring and in true Hollywood fashion, the lights hit his door, and he stepped off. The secret service escorted him to the podium, and he delivered his speech. We had about 10 thousand in the hangar, another 2 thousand in the tarmac area watching on the jumbotron and another 3 thousand out in the front area. A great night for Donald Trump in Republican-friendly Brevard County. For the media – just another night. Arrive early, set up the equipment, get the shots, take down the equipment. If you live in the area, you go home or if you’re on the Trump campaign, go to your hotel or wait for your Trump charter jet to taxi up and get ready to go to the next city. Roy Garton is the owner of FDMC Media. He is also an actor who has played in several movies. Roy is also a broadcaster and journalist. As a television news journalist in a very popular resort area, Roy has had the opportunity to cover Statesmen, Presidents, and Russian Diplomats as they passed through the area on political missions. He has also worked with the White House Press Corps. Roy left Wyoming in 1992 and moved to Tulsa, Oklahoma again working in television before settling down in Florida where lives in Palm Bay and is married to former Sebastian resident Mary Myers-Garton. He continues to act in films and television.